The 2014 Vintage will be the last for Clos Pepe Estate Wines and for their secondary label, Axis Mundi. Wes Hagen and his wife will move from the vineyard property and he will be looking for other opportunities in the Central Coast of California. I have been a particular fan of Wes Hagen, his wines, his wine making, and his personality and depth of knowledge about all things wine. He is as much a philosopher as a wine maker. He has been a pioneer in the Burgundian style so prevalent in the Santa Rita Hills, and a leader in establishing the AVA designation there. Clos Pepe Estate Wines will be missed. 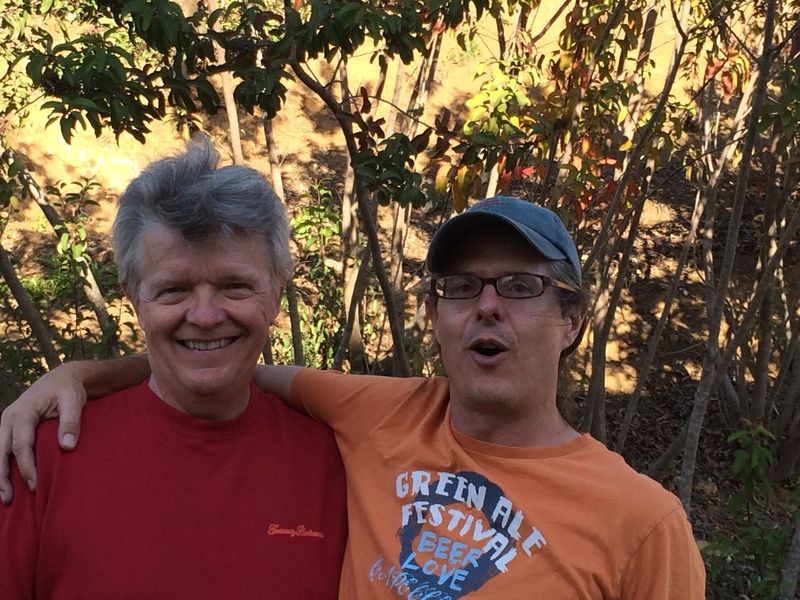 Jim Lockard and Wes Hagen at a Clos Pepe Estates Wine Tasting Event in Newbury Park, CA in 2014. This makes me sad but I wish Wes and his wife happiness and success with whatever and wherever their next adventure lead them.